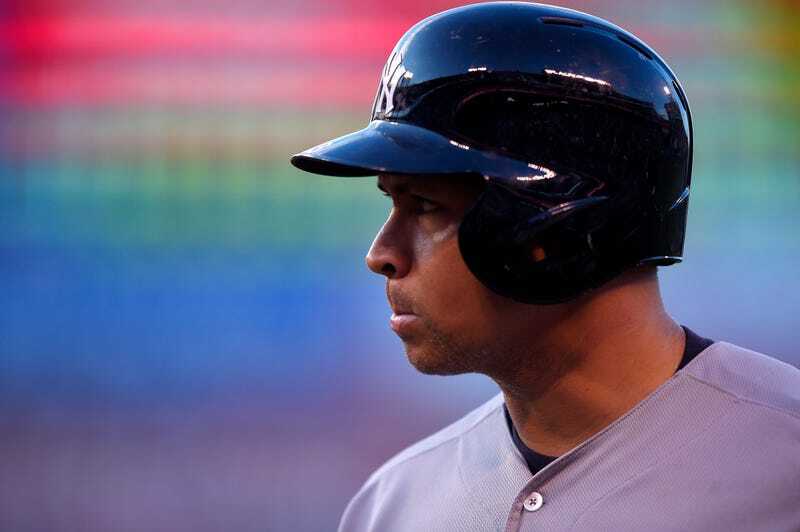 The full rosters for next week’s All-Star Game have been announced, as have the five Final Vote candidates, and the most notable omission is Alex Rodriguez. Rodriguez’s numbers are excellent, especially given his age and his lost season, but he also represents one of baseball’s most polarizing comeback stories. It would be objectively fascinating to see him spotlighted in MLB’s summer showcase, and given that he’s got a better OPS than the player who received the most All-Star votes in history, it wouldn’t have been a competitive stretch. But there’s no A-Rod. Fans selected the starters, players picked the reserves, and Royals and AL manager Ned Yost picked the five players eligible for the Final Vote. Now, only a series of Homer At The Bat-level calamities could get Rodriguez to Cincinnati as an injury replacement. Yost says it wasn’t for a lack of trying. In an interview on ESPN last night, Yost explained that he and his coaching staff are seeking flexibility—something Rodriguez, who has started all of three games in the field this season, just can’t offer. Yost is trying to win the game. That statement still rankles—this is the All-Star Game, for god’s sake! Let’s have fun out there and goof around and see the famous players!—but if MLB is going to insist on making this exhibition affect the postseason, Yost has to treat it like it matters, and for him, it very well may. I hate this. I want to see Rodriguez in the game, getting booed viciously by the Cincinnati crowd, palling around with other players as Rob Manfred wrings his hands. But as long as MLB is going to adhere to its dumb “this time it counts” gimmick, Yost is being pragmatic. It’s just another example of how making the All-Star Game matter has made it less fun.